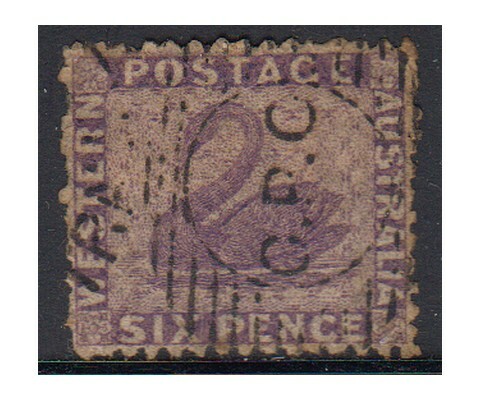 5 pence brown, king George V, wmk. 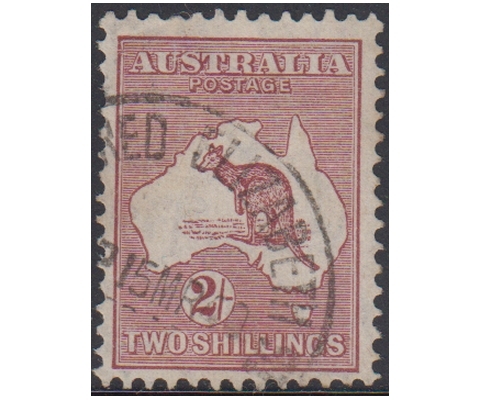 VI - 1v us. 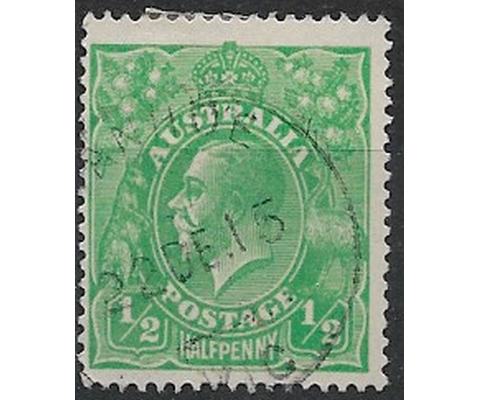 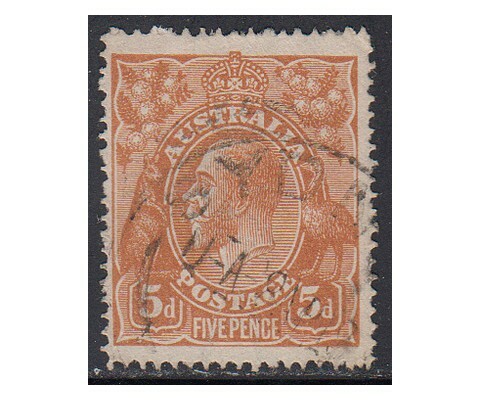 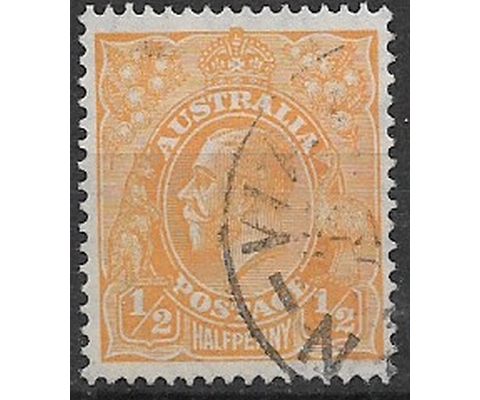 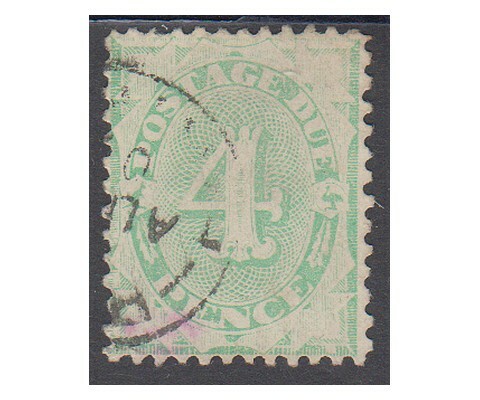 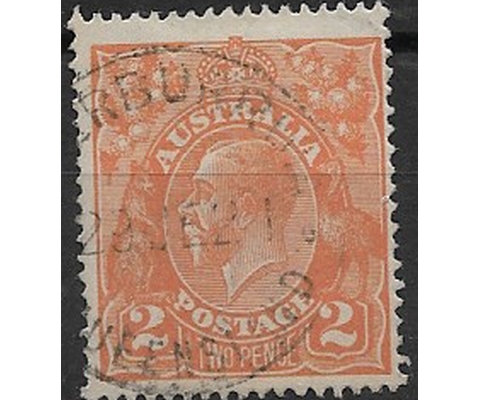 George V‚ 1/2 d. orange (wmk. 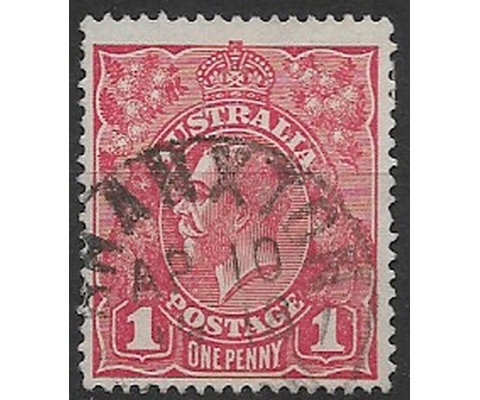 VI) 1v us. 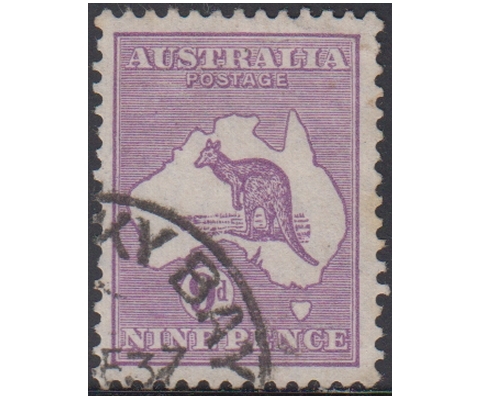 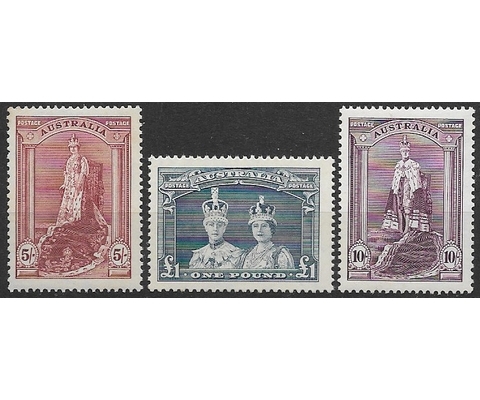 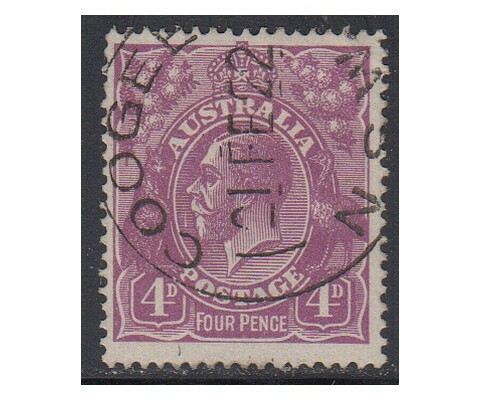 Kangaroo and map 9 pence purple wmk. 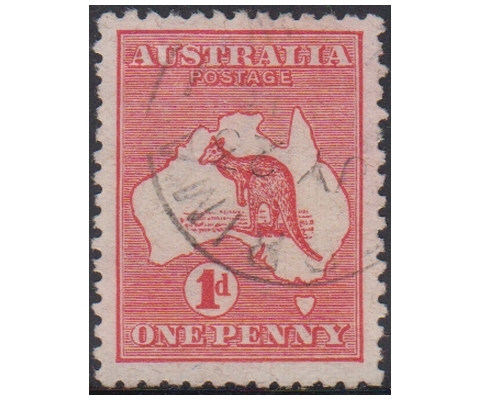 VI - 1v us. 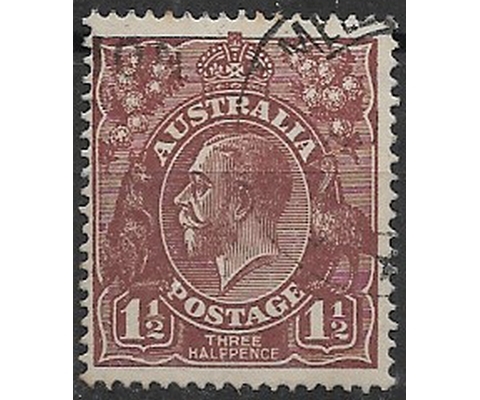 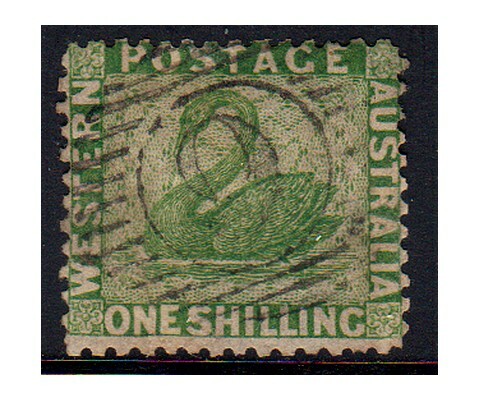 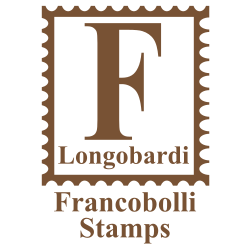 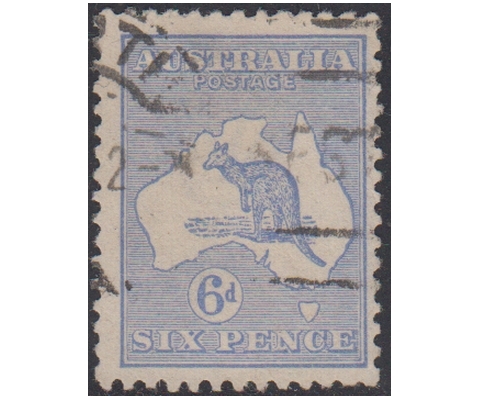 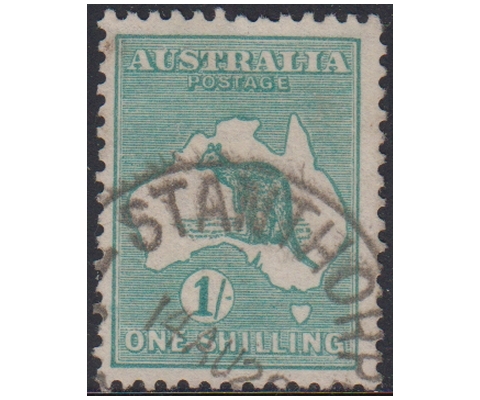 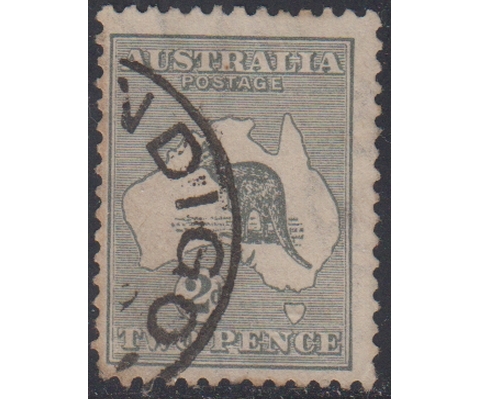 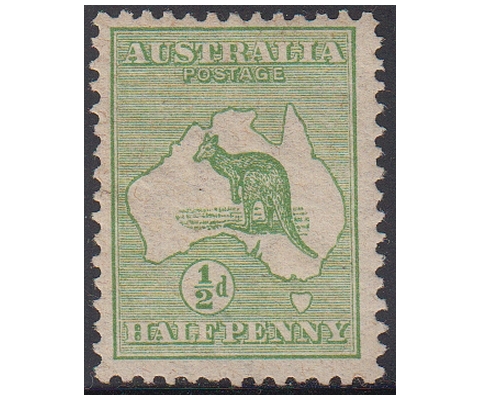 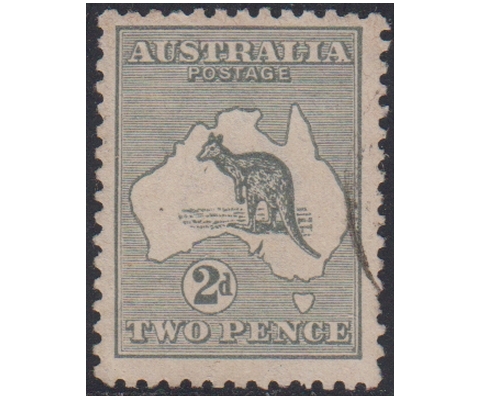 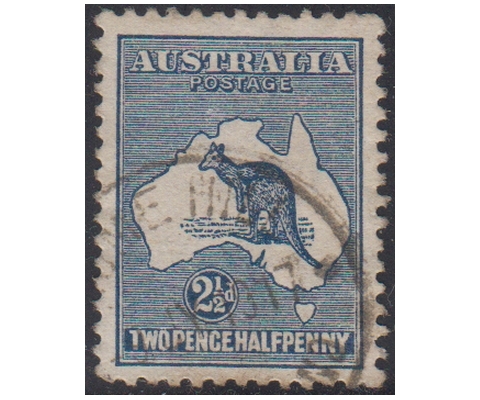 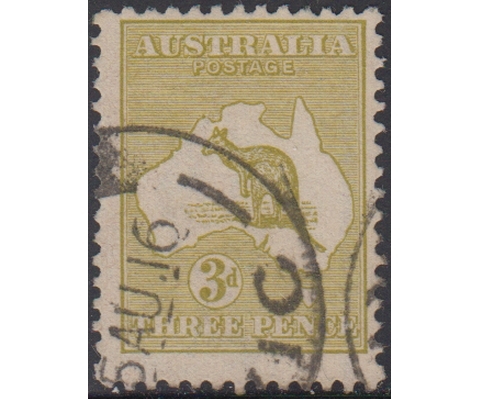 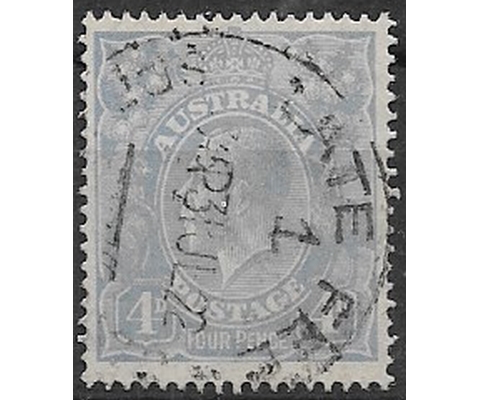 Kangaroo and map 2 shillings brown wmk. 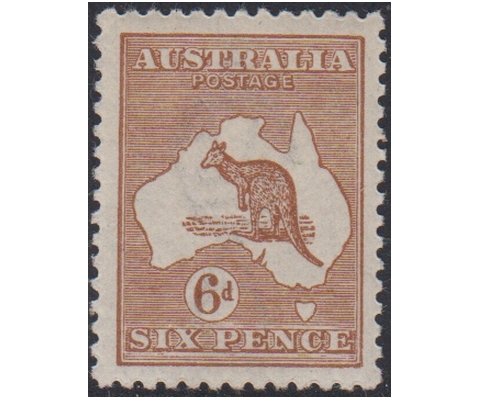 VI - 1v us.